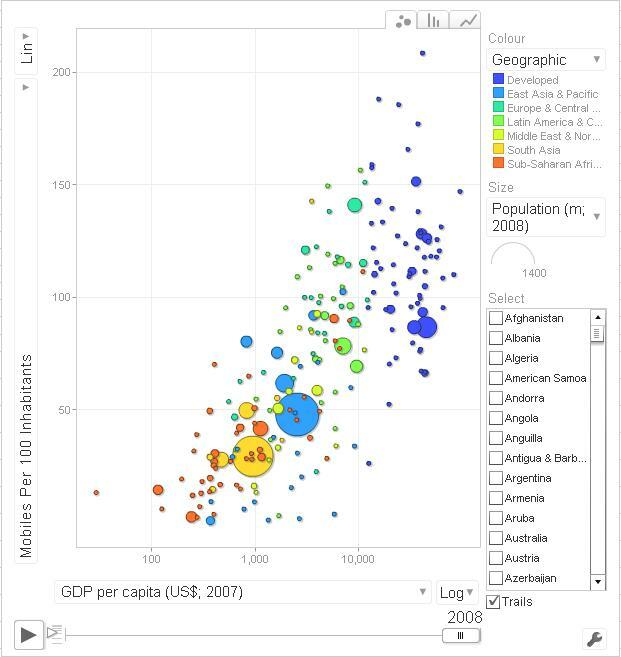 I’ve entered the ITU data on mobile phone penetration for all countries from 1998-2008 into a Google Docs spreadsheet, and then added the Motion Chart visualiser (the same engine made famous by Hans Rosling and TED, though they use the Gapminder Trendalyzer version). Not sure it adds a lot of analytic value but it’s engaging, helps give a sense of some overall trends, and identifies some interesting outliers. (Some older PCs and low-bandwidth connections will struggle to display.) I’ll repeat for other ITU data in later posts (e.g. broadband data visualisation here). 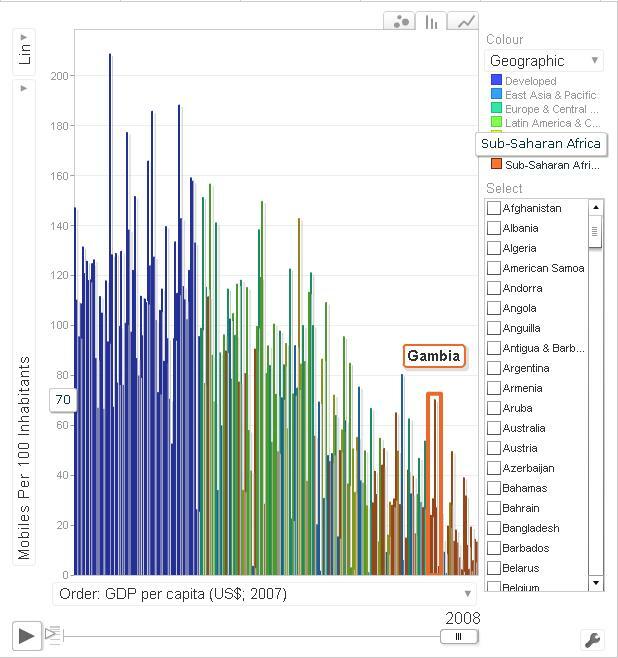 You can find similar visualisation for mobile, Internet and a host of other development data at: http://devdata.worldbank.org/DataVisualizer (though currently up to 2007 only, no obvious access to underlying data, and the mobile data display doesn’t seem to work properly). And, finally, on a separate blog entry you can find a set of rough converters to change mobile phone subscription data to data on ownership, access, use and non-use.